What it Is : Introducing Bobbi Brown's boldest, most vibrant color ever. This sumptuous formula dramatically boosts moisture levels while intensely rejuvenating lips, keeping them comfortable and conditioned-even after it's removed. Now in over 30 shades, with a sleek gold tube. It's luxury, redefined. Explore the entire range of Lipstick available on Nykaa. 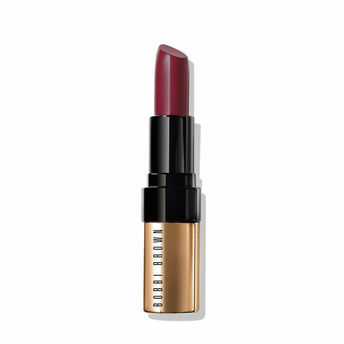 Shop more Bobbi Brown products here.You can browse through the complete world of Bobbi Brown Lipstick .Alternatively, you can also find many more products from the Bobbi Brown Luxe Lip Color range.